Stuff is very helpfull. Place is quiet. 15 min walking to the beach. Nice view from the pool. Завтраки очень вкусные и недорогие - женщина повар очень милая и общительная женщина, всегда старается для гостей. В отеле чисто, в номере тоже. Нареканий на уборку в номере нет. По расписанию несколько раз в день ездит бесплатный трансфер на 2 пляжа: Ката и Ката Ной. Чисто в номере. Есть бесплатные коврики лежаки на ресепшене. Kata Bella Resort This rating is a reflection of how the property compares to the industry standard when it comes to price, facilities and services available. It's based on a self-evaluation by the property. Use this rating to help choose your stay! Providing a free shuttle service to the beautiful Kata Beach, located a 5-minute drive away is Kata Bella Resort. 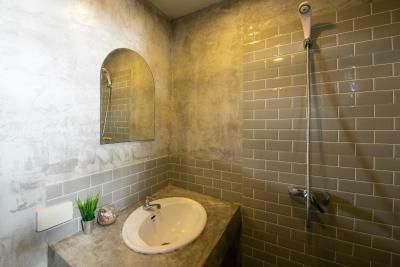 It offers an outdoor pool, a fitness center and well-appointed rooms. Conveniently located in a tranquil spot of Kata Beach area, the hotel is still within walking distance from dining and entertainment options. 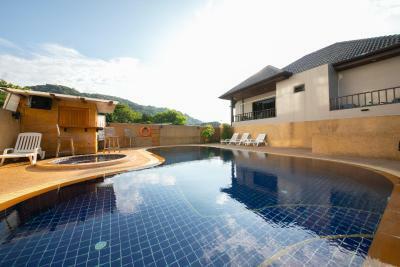 Kata Bella Resort is a 50-minute drive from Phuket International Airport. 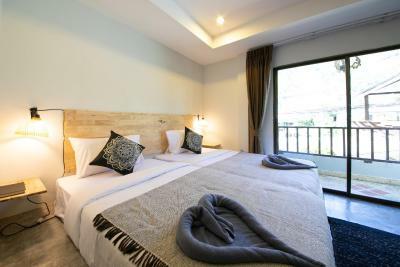 Simply furnished, rooms at Kata Bella Resort are air-conditioned and come with satellite TV and a safety box. All rooms offer the luxury of a private balcony. Guests can approach the friendly staff at the tour desk to organize excursions. Laundry services are also provided for convenience. Kata Bella Resort also features a restaurant which serves local delicacies. Western dishes are also available. When would you like to stay at Kata Bella Resort? 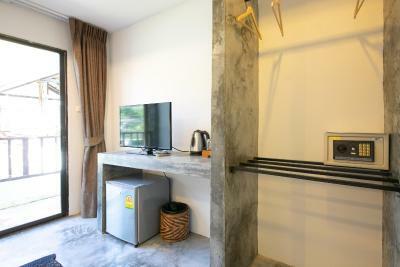 Larger air-conditioned room comes with a balcony, a satellite TV and a refrigerator. A safety deposit box is also provided. House Rules Kata Bella Resort takes special requests – add in the next step! Kata Bella Resort accepts these cards and reserves the right to temporarily hold an amount prior to arrival. Horrible road noise through the night and day. Can be heard from the room and the pool area. If you lose your room key, the price of replacing it is nearly the same price as the room. 1500 baht. The pool lights were out so it was dark at night, mice running around the pool area, and lots of bugs in the hotel room. Got bit 6 or 7 times throughout the night by mosquitos. Bathroom had ants covering the sink area and there was even a centipede in the bedroom. There's a gap under the door which allows all these bugs to come in. I suggest putting something under the door to cover it. It's also located on a busy road with no sidewalk, so unless you rent a motorbike it's very difficult to get around. This was the filthiest room I’ve ever been in. The bed sheets and towels had stains. 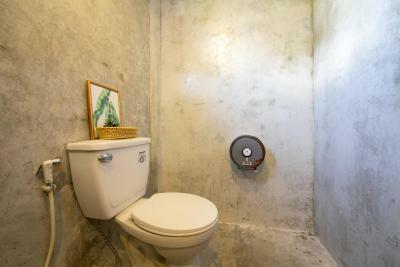 It had clearly not been cleaned since the previous occupant as the shower and bathroom floor still had puddles of water. The booking promised a room with a balcony and breakfast included. But when I got there I was shown to a room with no windows and the staff tried to charge me for breakfast.